The Superman is dead. Bury it. People are still coping with a Superman-less (Henry Cavill) world after he sacrificed himself to defeat Doomsday. Bruce Wayne himself (Ben Affleck) feels responsible for what happened, even if Diana Prince (Gal Gadot) reminds Wayne it wasn’t his fault. Crime-fighting doesn’t cease, though. However, a new threat always emerges from the last one. Returning to this Earth is Steppenwolf (Ciarán Hinds), a being who comes to obliterate worlds and conquer lands through power sources known as the “Mother Boxes.” Steppenwolf and his Parademons happens to be the vision Bruce saw, and it’s a vision that he knows he cannot defeat alone. So, he’s got to recruit some help in Wonder Woman, Cyborg (Ray Fisher), The Flash (Ezra Miller), and Aquaman (Jason Momoa). There are a lot of places to start with Justice League, obviously DC’s answer to Marvel’s Avengers. For all the events surrounding the production, it’s a minor miracle this is rather OK. Not groundbreaking or necessarily closing the gap on Marvel, and still a little disappointing compared to the high of Wonder Woman, but semi-enjoyable. Two men essentially directed this movie in Zack Snyder and Joss Whedon, with the latter coming in after the Snyder family tragedy. For the most part, it works enough. This is not a superhero story to get engrossed into, but as an extremely basic “bad guy whose only drive is to take over the world just because and heroes have to stop him because they’re heroes” plot, it is what it is. The slightly lighter tone is appreciated without completely doing away with a darker vision. Direction-wise, there are some sleek sequences, most containing The Flash and Wonder Woman. 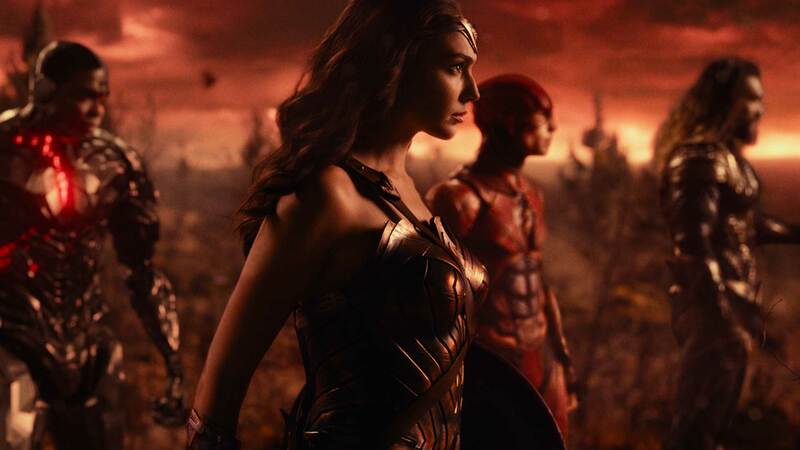 But like the large bulk of recent comic book movies, the CGI aspect can get to be a little mind-numbing, mostly in the final act where our heroes dash, spear, punch, and electrify drone upon drone of computer-generated baddie pawns. But what mars Justice League are the sins of the father film in Batman V Superman: Dawn of Justice. It’s rushed. Numerous prior iterations of Batman and Superman don’t need reintroduction even in a different studio universe, and Wonder Woman got her fully detailed introduction in June. But for newbies in Cyborg, Aquaman, and The Flash, there simply isn’t enough time to build a connection with any of them. It’s a shame, too, because all three seem to have cool, unique backstories only hinted at that would make them all endearing in this team-up film. Out of the three, only The Flash can claim to be endearing, possessing a teenage zeal comparable to Peter Parker. Hate making comparisons, but Rome aka Disney’s/Marvel’s The Avengers was not built in a day, but over a few years with intro movies that gave exposure to those who would make up the backbone of Nick Fury’s initiative. Not all of them were great, but, they laid the foundation for the big, crowd pleasing feature. It’s also a shame that half of the team doesn’t get much background to experiment with because the casting is strong. It should be fun to see Ray Fisher, Ezra Miller, and Jason Momoa as the stars of their own shows and the big deals their characters are, instead of being told they’re a big deal but being given no reason to believe so. As for the dynamic lead duo in Batman and Wonder Woman, their prior movies give them layers of depth and you can see Affleck and Gadot really understanding what their roles entail. 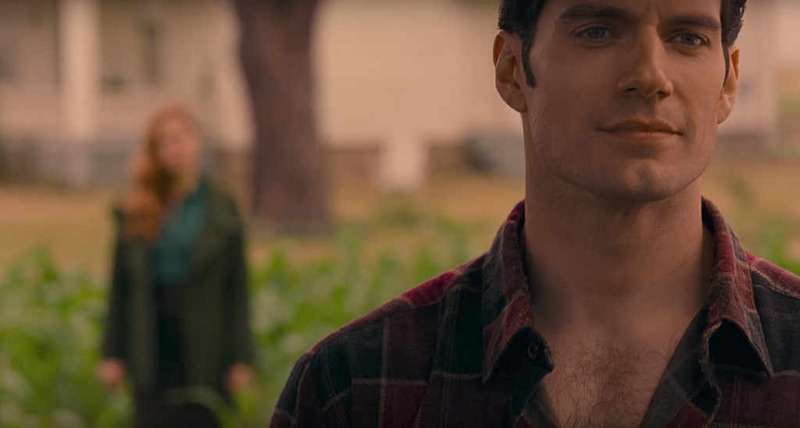 But the scene-stealer as odd as it sounds is probably Superman being portrayed once again by Henry Cavill. For the first time, it truly appears as if Cavill is having a good time as the Man of Steel, still being the de facto paragon while noticeable charisma. 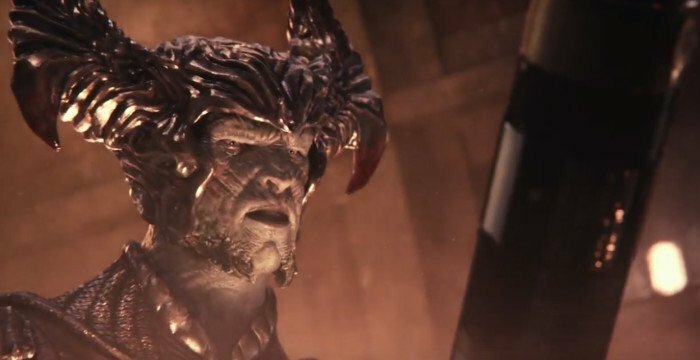 The less said about JL’s villainous forgettable Steppenwolf, the better. Justice League is ultimately a byproduct of mistakes made from prior DCEU installments, but somehow, the final product is serviceable. And looking to the future, there’s enough here to get a little excited for. Baby steps. Photo credits go to variety.com, collider.com, and eonline.com. A C is a good enough grade to convince me i need to catch this before it leaves theaters. Was on the fence for the first week, but now more people are giving it more of a thumbs up than a thumbs down. Which I think is encouraging for DC. They need something beyond Wonder Woman to bank on. Have seen some really positive thoughts and some negative ones, but the negatives are muted negatives—still able to see some good. I do think that while it isn’t great, they’re finally getting some stuff in line for the future—but it is a shame that they just didn’t go the standalone route to get people up to speed on these more obscure characters. Think you should watch though. I probably liked it less than you if I’m honest. It’s better than B vs S, but man that’s not saying a lot. (Very small) baby steps! Baby steps are baby steps mate! I definitely liked it better than you did although I do admit it has issues. I actually liked that they didn’t plow through a ton of backstory for each new character. I thought we got just enough of Flash and Cyborg. Aquaman could have used more but with stand-alone films coming we will get it. I also felt the film did a good job juggling its many moving parts. Ultimately I find the DC films to be a fresh break from the MCU. I like their darker more serious tone. Adds some variety to a genre that I feel really needs it. 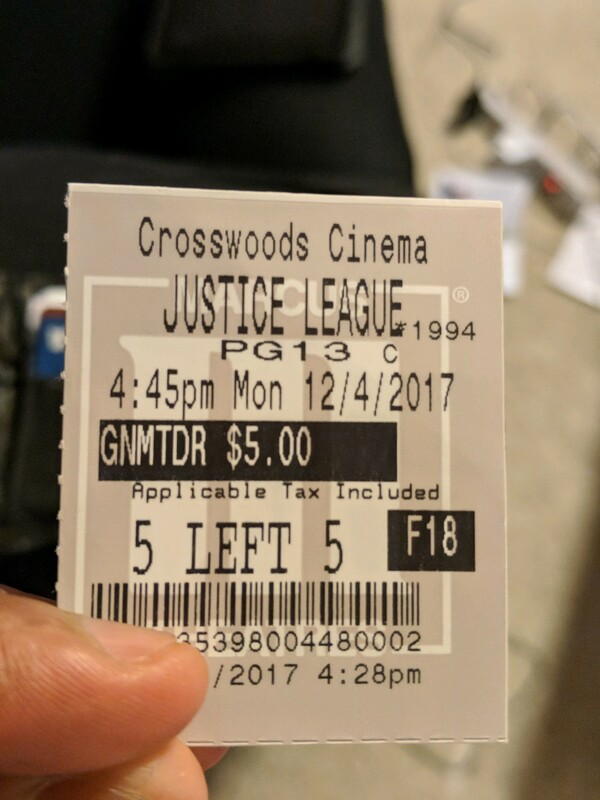 It’s taken a while, but even though I don’t love this movie, I do think that DC is on the right path. They could be humming if these solo outings turn out good! I agree with you, it’s hard not to make comparisons to Marvel, but they’ve spent so long building the MCU up. The new DC unvierse hasn’t even had a real Batman movie yet, so the Justice League doesn’t feel warranted. It’s a shame they work so hard building the universe up when they should just be focusing on making the current movie good on its own. But I do think they’re on the right track! I don’t mind the lack of a Batman solo film in this DC universe because we’ve seen Batman enough to know his story. I can kind of see a small argument to not having solo outings for the others before JL, but I think that DC were cool with just waiting for a bit to tell these solo outings (as repetitive as they may be), the proof is in the pudding that they build attachment to the characters once the team ups occur! I do feel a little better about DC after this. We’re still getting those solo films, just later now.